Surrounded by stone walls, the building is set to serve as a museum after the completion of the planned work. Having served as a prison for 51 years in Denizli's Tavas district and shut down 13 years ago, the Tavas Closed Prison will be put into service once again as a Zeibek (a form of folk dance peculiar to western, central and southern Anatolia) and Ethnography Museum. Founded in 1955 on Süleyman Demirel Boulevard in the Yaka neighborhood, the Tavas Closed Prison had the capacity to house 90 prisoners. Situated on an area of 4,000 square meters, the prison had an 800-square-meter closed area. The building has been vacant since it was emptied in 2006. In the aftermath of the transfer of the detainees and convicts to the Kale K2 Type Penitentiary Institution, the structure turned into a derelict building within time. Surrounded by stone walls and standing in very good condition, the building is set to serve as a museum after the completion of the planned work. Conducting studies for the transformation of the former prison to the museum, Tavas Municipality initiated project studies allocated by the Directorate General of National Property. The restoration and construction work will start in the following months after completing project planning and landscaping. 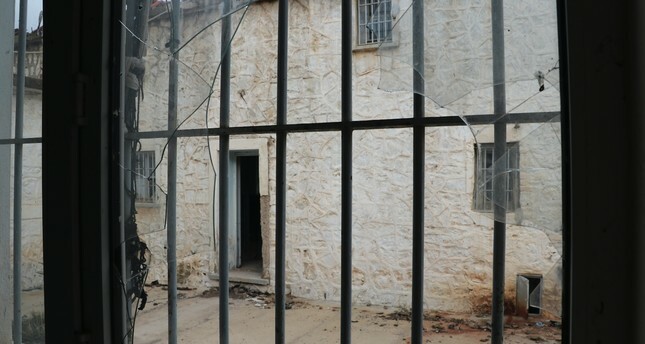 Tavas Mayor Turhan Veli Akyol spoke to Anadolu Agency (AA) and said that they are working to create a wellness center out of the old prison in the district. Stating that their aim is to transform the building, which is remembered for unfavorable times, into a center where people smile and have positive memories, Akyol added, "People suffered and spent mournful days at this prison. It was abandoned and became a derelict building, so as the municipality, we initiated studies to transform the structure into a wellness center. We will open it to service without demolishing the stone walls and by restoring the building according to its original material. It will serve as the Zeibek and Ethnography Museum." Akyol noted that Tavas is known for its Zeibek culture; however, they don't have a museum promoting that. They will present the objects and artifacts, which up until now have been exhibited to the general public by means of some collectors and institutions. The museum will offer displays representing the city culture and tradition while some part of the building will be in service as a local bazaar. Also the bath and the masonry oven in the kitchen will actively be in service. "We want to put the building into service in such a way that we can represent our culture and history in addition to reevaluating the structure in accordance with its soul," said Akyol.